David Halberstam , journalist, author. Journalist David Halberstam knew the lesson of life that snuffed out his own Monday in a California car crash: The "best and the brightest" sometimes get cut down in the worst of circumstances, for the dimmest of reasons. He'd absorbed the horrible Emmett Till murder in the South, covered the Congo, Eastern Europe, and Vietnam, where he won a Pulitzer in 1964 at age 30. He knew he'd been lucky to get out alive from the last place, that luck matters as much as anything else in what you achieve in life. That explained why he remained humble, thoughtful, and generous to people as his fame grew. From the instant the report of Halberstam's death came in, you understood it must have been someone else's fault. 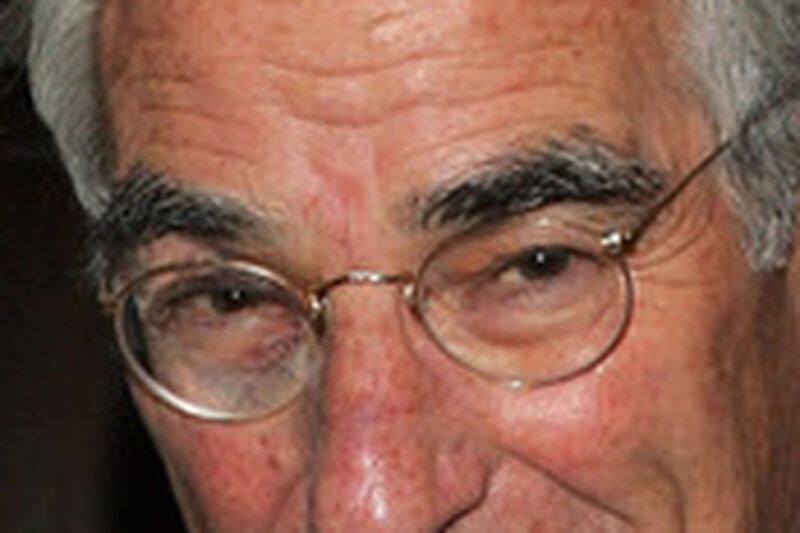 Halberstam, 73, must have been in a passenger's seat, or hit head-on by someone driving the wrong way. It came as no surprise that he, unlike Gov. Corzine, wore a seat belt. Because the great, globe-trotting reporter turned Americanist and historian, a man viewed by many as the gold standard of his print-journalism era, stood out within that field and nonfiction writing for old-fashioned reporting, humility, and superb judgment. No composite characters. No piped dialogue. No nonsense, even if his literary flair in books like The Powers That Be led some to wonder whether Southern loquacity had infected him like a bug during his spell down South. Halberstam reported, then reported more, even decades after he could have gotten away with less. The car that broadsided him on Monday killed him on his way to interviewing ex-New York Giants quarterback Y.A. Tittle about the so-called greatest game in football history. Reams have been written about it. Halberstam might have looked everything up. He preferred going to the source. Was it always that way? Harvard Crimson colleagues yesterday remembered Halberstam as indefatigable even as managing editor of that esteemed college paper. Trailing Ivy League smarts and credentials, he nonetheless began humbly at the Daily Times Leader in West Point, Miss., then did four years at the Tennessean in Nashville. Halberstam never did waste time. He made his name reporting from Vietnam for the Times in 1962 and '63, questioning the claims of U.S. military advisers, depicting South Vietnamese President Ngo Dinh Diem as an incompetent loser, rejecting the U.S. military's attempts to spin disasters into victories or progress, and famously angering President John F. Kennedy by his coverage. He riled JFK so much that the president ordered a CIA analysis of Halberstam's coverage and asked tyro Times publisher Punch Sulzberger to pull Halberstam out of Saigon. Sulzberger, bolstered by Reston, ultimately refused. Halberstam invented the "Q" word for Vietnam with his 1965 Harper's article, "The Making of a Quagmire," later a book. His career radiated energy, ambition, integrity and candor right to the end. His book-writing, which he began after leaving the Times in 1967, displayed the same aggressive reporting, sensible judgment and ability to spot coming truths before others. Unlike a contemporary such as Seymour Hersh, who over the years kept to the treacheries and secrets of big government, Halberstam took on a challenging range of subjects, from the lives of firemen to the auto industry to the many dimensions of his beloved world of sports. Two of his books, The Best and the Brightest (about JFK and his brain trust) and The Powers That Be (about big media), definitively captured their subjects and entered Americanese as catchphrases. Yet when he sat down with a younger journalist, he became one reporter talking to another. I remember a lunch at the Ritz-Carlton after the first Gulf War. Tall, deep-voiced, Lincolnesque - Lincoln, that is, as a square-jawed Jewish guy who might be played by Jeff Goldblum (Halberstam's choice if he ever ended up as a movie character) - the veteran journalist could laugh at the story of how, when he first joined the Times, crusty editor Wallace Carroll made him rewrite his first story five times. And he could eat a little crow for being wrong on how that Iraq war would turn out. He'd have noticed, though, a story that ran yesterday right next to his obituary, about how Toyota had passed General Motors in sales for the first time. Just what he pretty much predicted in his amazing book, The Reckoning, about the rise of the Japanese auto industry in America. The same day he said goodbye, he'd called it before everyone else once again.